Owen Gaffney is an Anthropocene analyst, communicator, writer, editor and scholar. He edits Rethink.earth and is on the editorial board of the Anthropocene Magazine. He is founder of the Future Earth Media Lab, director of international media and strategy at the Stockholm Resilience Centre and director of communications for Future Earth, based at the Royal Swedish Academy of Sciences. The Stockholm Resilience Centre is a world-leading centre for resilience research. Future Earth coordinates global sustainability science internationally. For a decade, Owen has worked in Earth system science research and communication as a writer, editor and policy analyst. 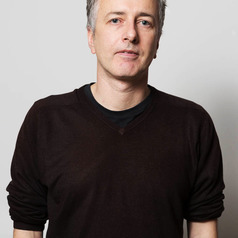 His work focuses on understanding, communicating and visualizing humanity's impact on the planet through concepts such as the Anthropocene and planetary boundaries. His writing has appeared in the New York Times, BBC, Science and Nature. His visualisations with Felix Pharand Deschenes have been shown at the UN Rio+20 Summit and the World Economic Forum, Davos.